Who would ever have guessed that tapping your iPhone screen for hours on end could be so much fun? It’s easy to lose track of time when you’re playingSushi Showdown Max, a gem of an iPhone game developed by Mezmedia. These little pieces of sushi have gone bad, and it’s up to you to kick ’em to the curb. 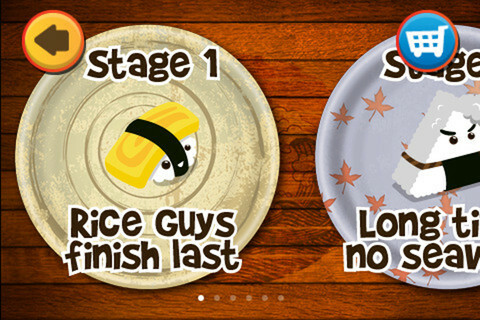 Tap each piece of sushi as it goes across your screen, and keep them from reaching their goal. If you have a low tolerance for puns, you might find the character names and level titles in Sushi Showdown Max a bit annoying. But if you can stand the cute-but-lame puns, you’ll find they really work in the tongue-in-cheek atmosphere of this fantastical sushi restaurant. In terms of strategy, you just want to tap as fast as you can as each rampaging horde of sushi monsters moves across your screen. To keep up when the hordes get really massive, you can try using two fingers at once to squash the bad, bad sushi guys. 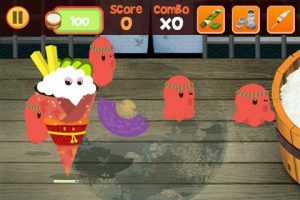 But beyond the cutesy aspect of its gameplay, Sushi Showdown Max offers surprisingly challenging boss battles that are also great fun. And with over 100 levels to master, you definitely want there to be a learning curve to keep things fresh and exciting. With a great leaderboard and Game Center support, Sushi Showdown Max is an iPhone game with tons of tap-happy, mindless fun. And let’s be honest: who doesn’t love those “so bad they’re actually good” puns? 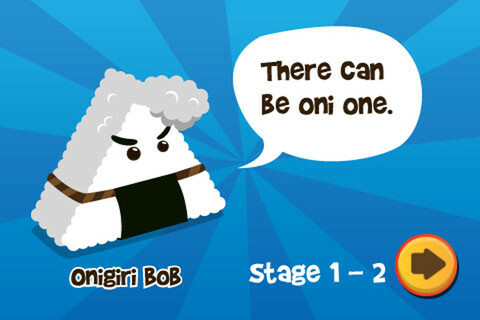 Normally 99 cents, Sushi Showdown Max is currently free, so get it while the discount lasts! 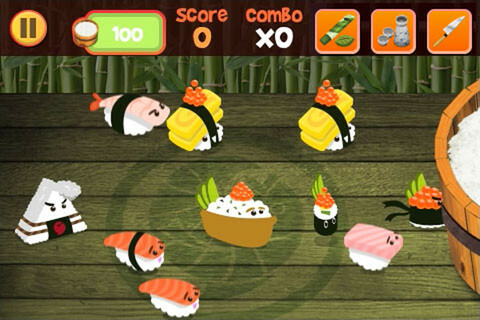 With awesome cartoony graphics, the only problem with Sushi Showdown Max is that you’ll get hungry watching all that yummy seafood go marching by. 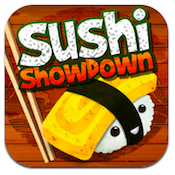 Sushi Showdown Maxis compatible with iPhone, iPod touch, and iPad. Requires iOS 4.1 or later. A small expedite review was paid by the developer to speed up the publication of this iPhone app review.